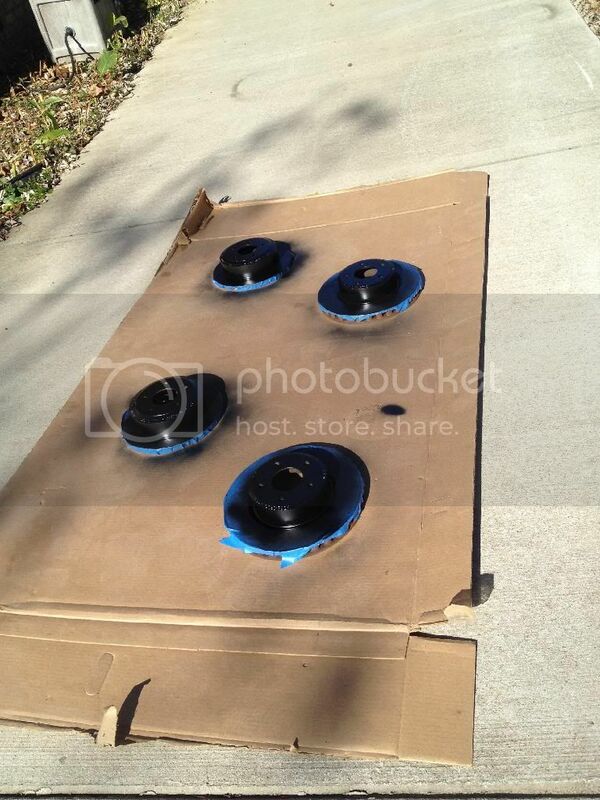 I ordered custom colored ceramic paint from G2USA great product and excellent customer service. Thanks to Victor aka Holygoat for coming over and helping remove and clean parts. 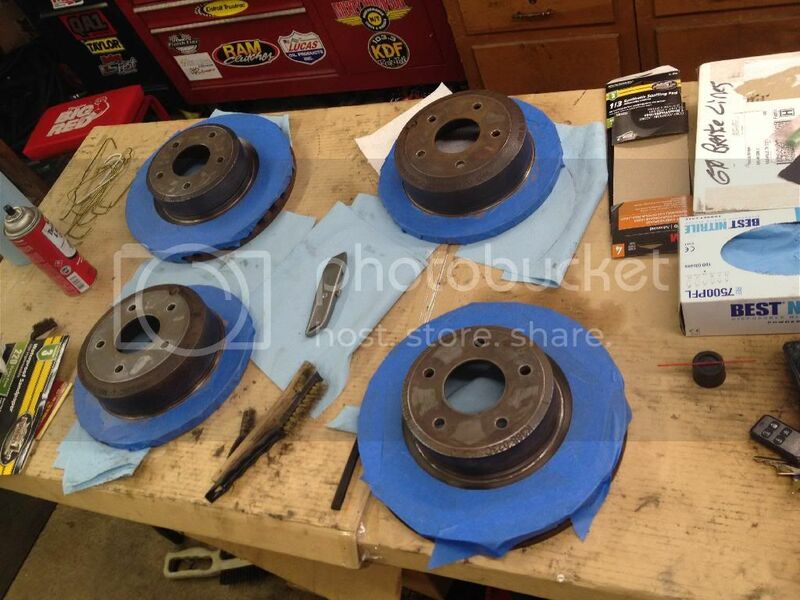 He also did a darn good job taping up those rotors. 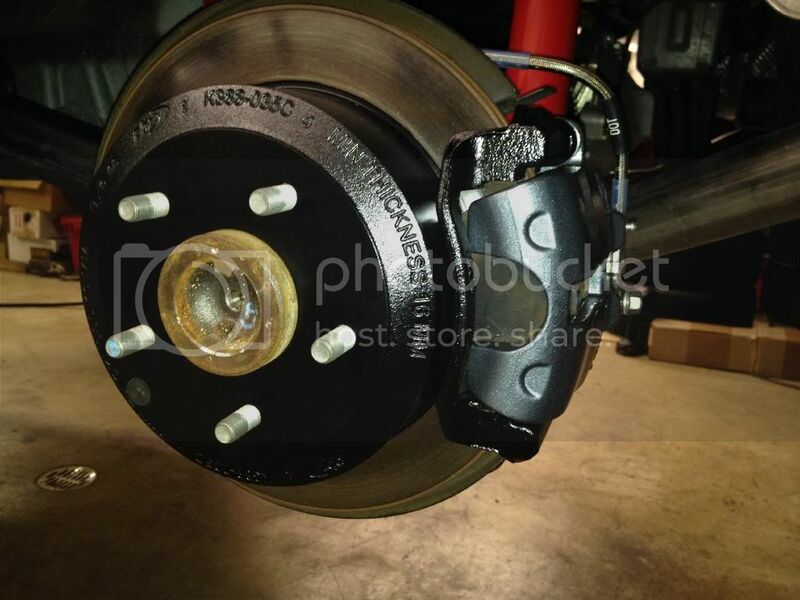 Shot the rotors and caliper brackets with hi-temp black paint. 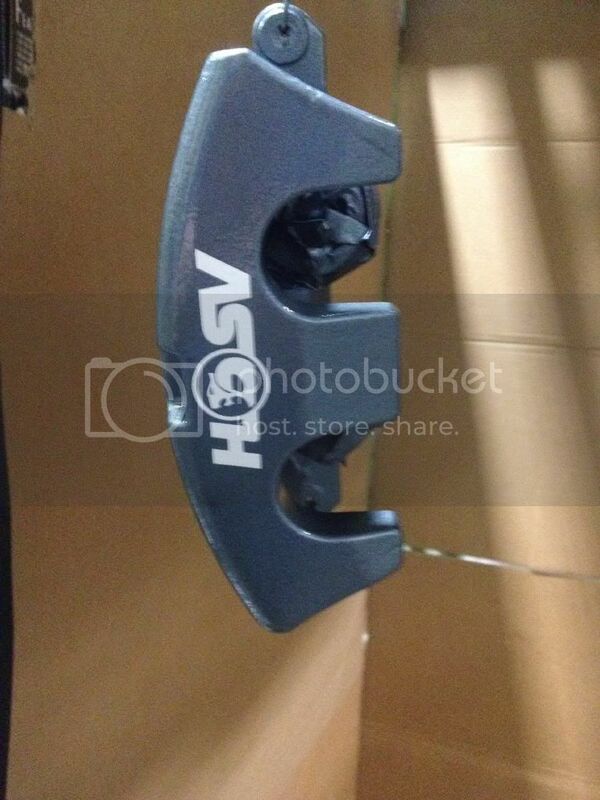 And the calipers with the CGM then applied HSV logo stickers and shot two coats of clear over the stickers. 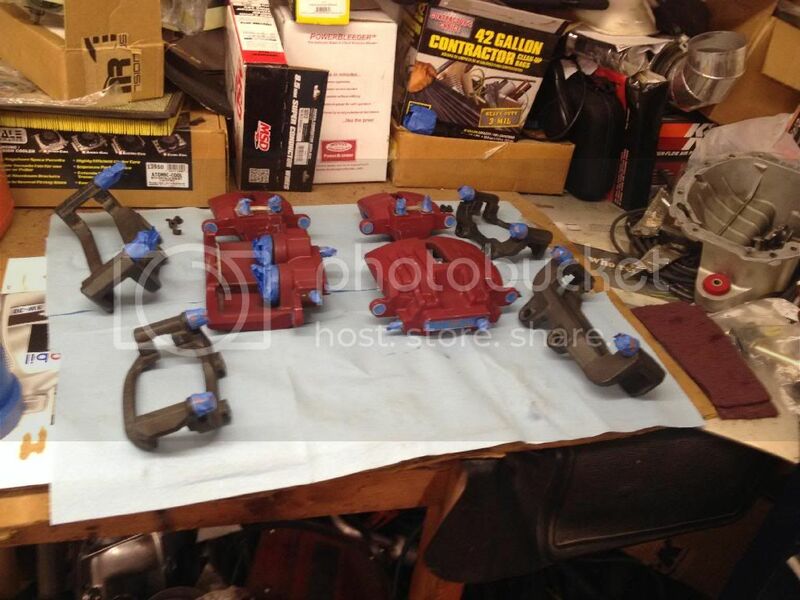 Painted the calipers, brackets, rotors. Applied HSV stickers to the front calipers. Replaced all 6 brake lines with braided. 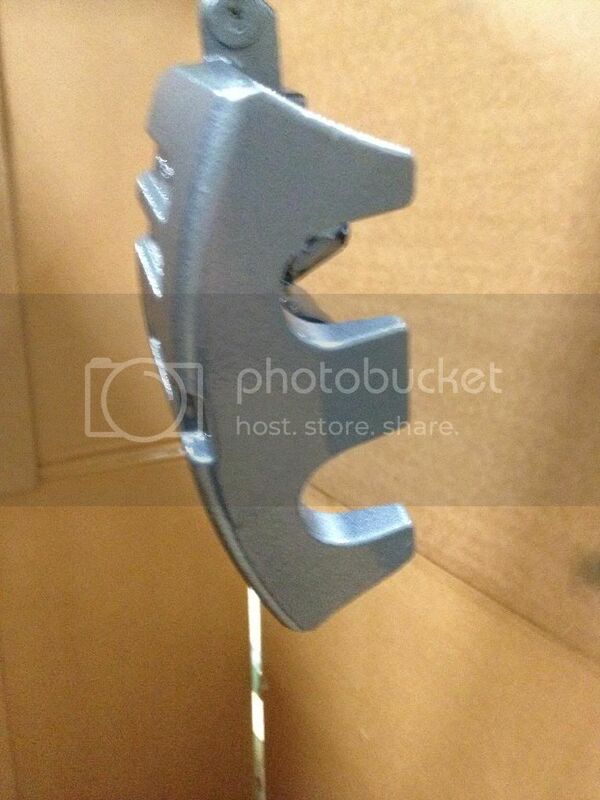 Last edited by tom's2005gto; 11-30-2013 at 04:50 PM. Where'd ja get them thar HSV stickarz?